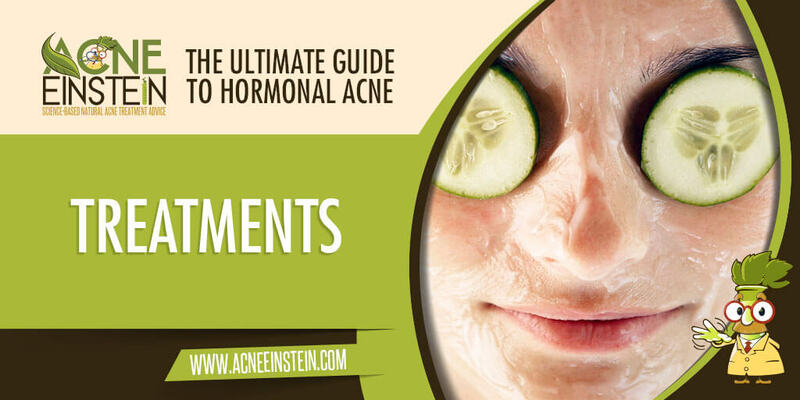 Learn how to treat hormonal acne with diet, herbs and supplements, skincare, and medications. Most treatments for hormonal acne focus on reducing testosterone. While androgen blockers can be effective – especially for women – they shouldn’t be the sole focus. As we discussed in this guide, most people with don’t have abnormally high testosterone levels. Any plan that doesn’t also address insulin and IGF-1 is bound to only address symptoms and likely fails over time – given the central role of insulin in triggering the cascading hormonal reaction that ends up in acne. Treatments that boost estrogen levels can counterbalance testosterone and also be helpful. For best results, you should tackle this from all sides with a plan that includes smart diet changes, pharmaceutical or supplements, and targeted skin care.